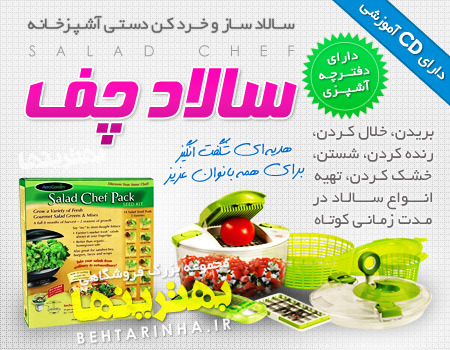 برای خرید اینترنتی خرید سالاد چف Salad Chef اصل درجه 1 اورجینال, فروش سالاد شف ( کاملترین پکیج خشك كن خرد كن سبزيجات , سالاد ساز و خرد کن دستی آشپزخانه) از فروشگاه اینترنتی، پس از کلیک روی دکمه زیر و تکمیل فرم سفارش، ابتدا محصول مورد نظرتان را درب منزل یا محل کار تحویل بگیرید، سپس وجه کالا و هزینه ارسال را به مامور پست بپردازید. 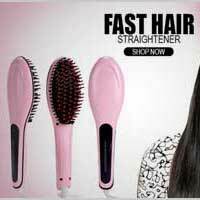 جهت مشاهده فرم خرید، روی دکمه زیر کلیک کنید. 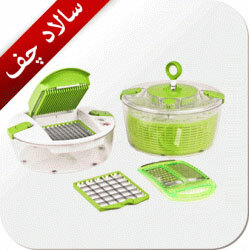 Now everyone can prepare a chef's salad, mixed salads, fruit salads, in just a few minutes, with the Salad Chef. 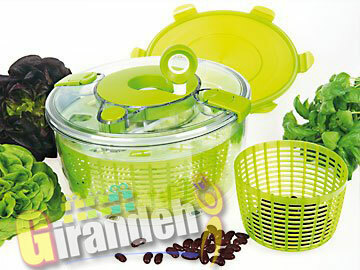 It has straining baskets with a centrifugal action so as to dry the food in just a few seconds. You can also prepare delicious soups and stews, amazing starters and many more.Salad Chef Hot As Seen On TV , you can prepare a chef's salad or mixed salads or fruit salads in minutes. 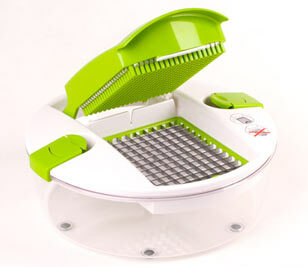 Salad Chef not only helps you rinse and spin salads, but you can also slice, dice, julienne, cube and shred fruits, vegetables, some meats and more. 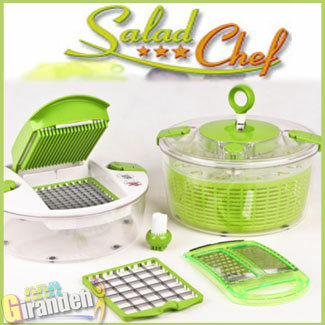 You can prepare a Chef's Salad or mixed salads or fruit salads, in just a few minutes! Slice it. Spin it. Seal it. 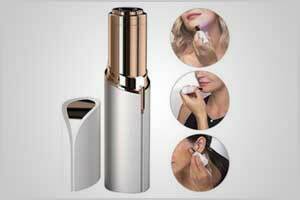 Store it and serve it… all in one! with the salad chef anyone can make the sensational chef salads… mixed salads.. Fruit salads… pasta salads.amazing salads from start to finish in just one snap. Salad Chef is the fastest salad and food preparation system.With Salad Chef everybody can prepare fabulous salads and so much more in no time. Mixed salads,fruit salads,potato salads,pasta salads-any salad you like.